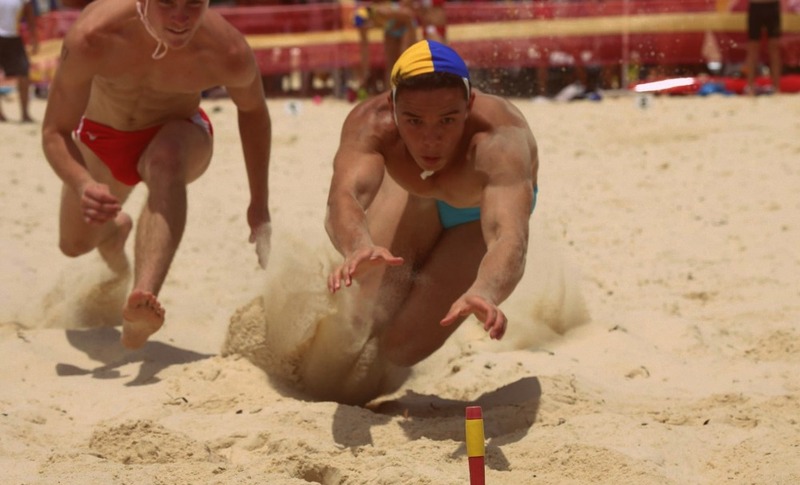 The sport of Beach Flags is designed to help Surf Life Savers to improve their reflexes and sand sprinting power. Beginning by lying face-down on the beach, competitors rise, turn and run 20 metres to grab a baton from the sand. Since there are always fewer batons than competitors, those who fail to obtain a baton are eliminated from that round. One or more batons are then removed for the next round, and play progresses this way until the winner grabs the last remaining baton.